Nicole came to me with a logo. Through the process of designing the website, I proposed a revision to the greek key in it, to match the look and feel of the site. Ironically, the change I made matched a hand drawing that Nicole did some time ago. I guess my suggestions were on point! 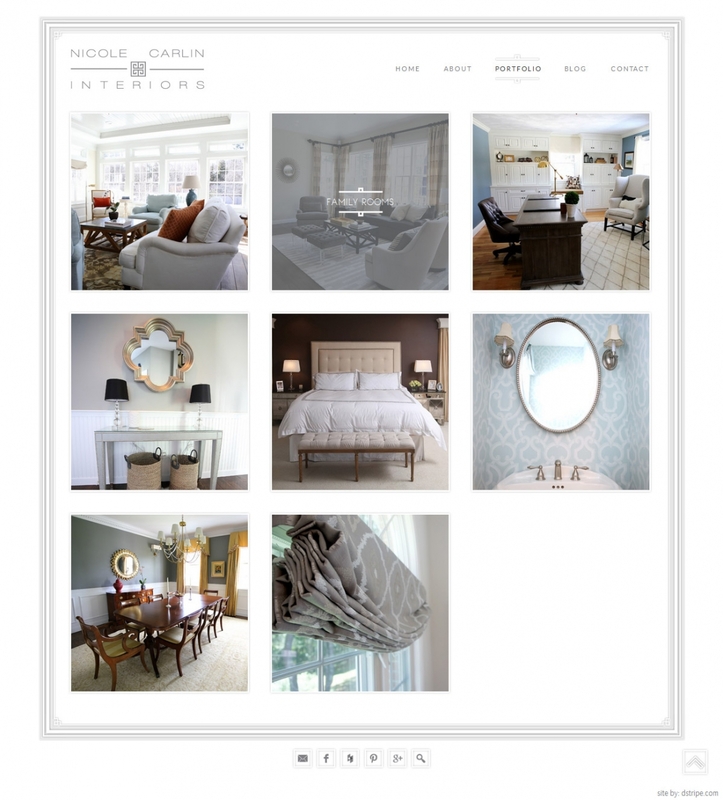 The frame to Nicole’s site is inspired by the greek key in her logo mixed with the idea of crown moldings in upscale interiors. Subtle, white on white, greek key elements pepper the site for interest. 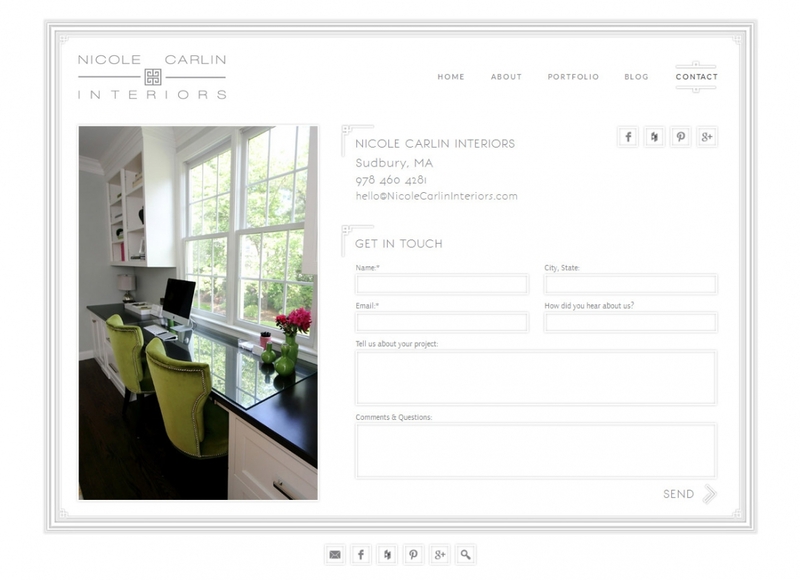 Her home page opens with professional photos from Nicole’s interior work. Her classic talent shows in the details. Portfolio galleries are broken down into room – a polished thumb each – directing her customers based on their needs. 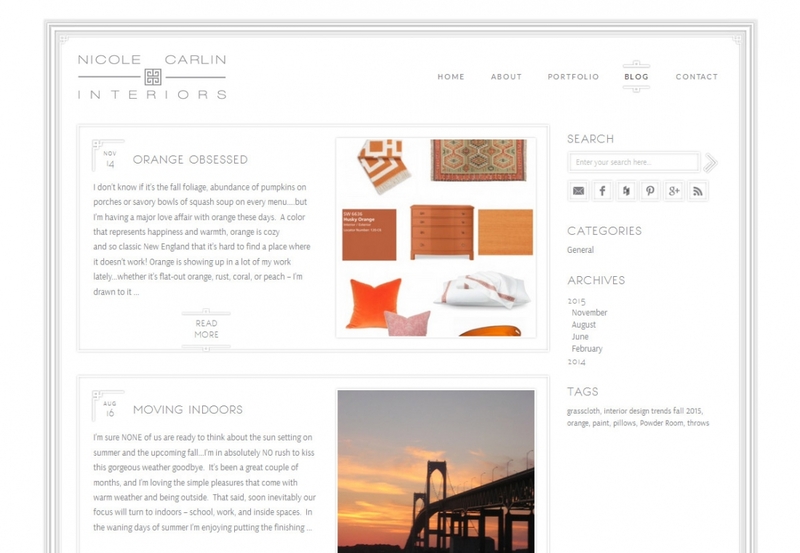 Her blog is clean and crisp. One large image for each post. 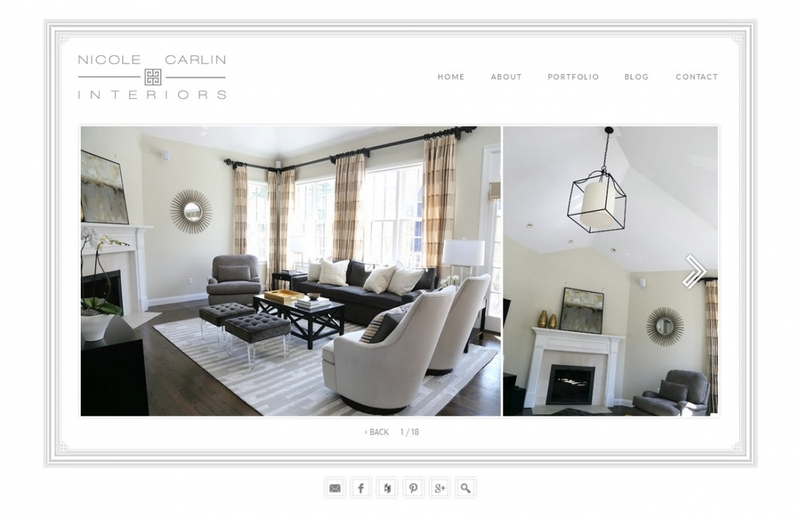 Custom styled Houzz and Pinterest links over each image, and readers can share with any media they want. Since creating my website, I have easily doubled my revenues. As an interior designer, it is critical that people can see my work. 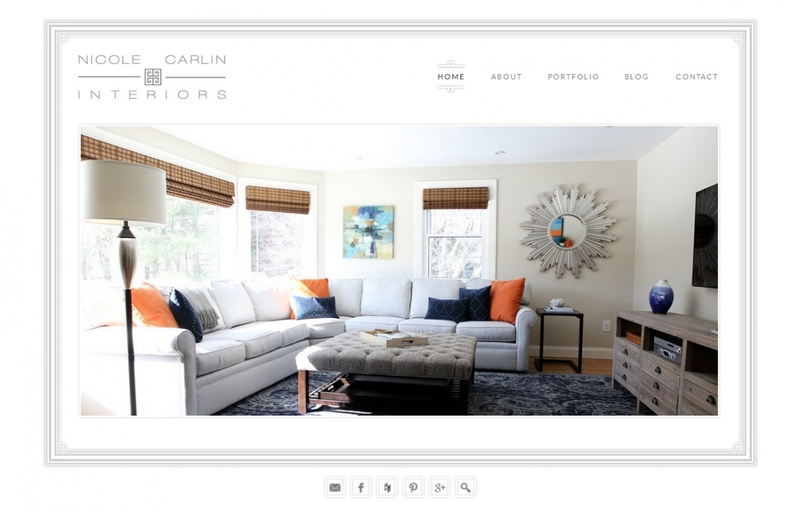 A web site is the only way that clients can preview my designs. With a website, I have found clients already have a sense for if I am the right person for the job by being able to scroll though my work. 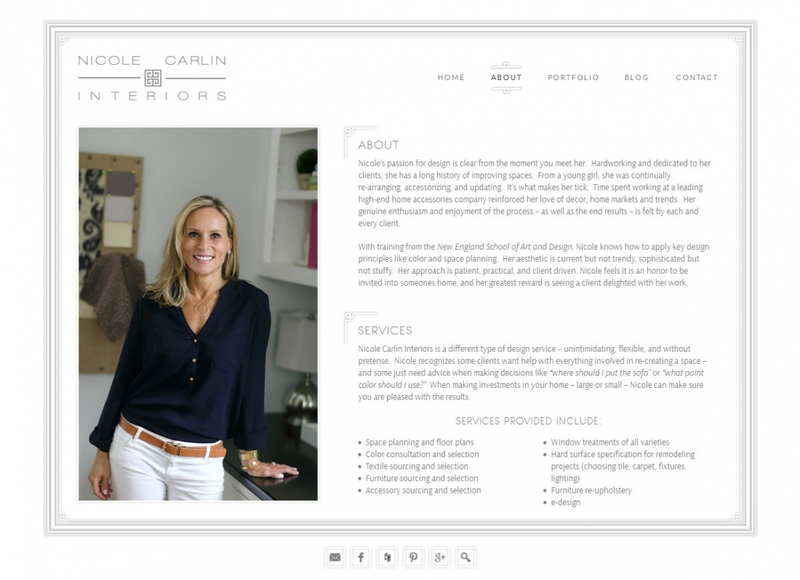 Deb designed my website in a clean, crisp manner that is consistent with my style – even though we’re on different coasts, I feel like she “got” my vision and style right away. She encouraged and educated me on how to brand my business in other ways and created a cohesive look. The process of creating the website was fun, not stressful, and exciting actually because of all the possibilities that were ahead. Since launch, Deb has made herself available for questions and updates. I would highly recommend Deb to anyone who was looking to create a website for their small business.